Natcom Internet is faster than Digicel and now they can brag about it... Natcom is the winner of the 2017 Speedtest Award for fastest mobile network speeds. To win this award, Natcom achieved a Speed Score of 9.64, with average download speeds of 10.51 Mbps and average upload speeds of 4.24 Mbps on all mobile devices. Digicel came at a mere 4.69 Speed score with a 5.03 download speed and a 1.58 upload stream. 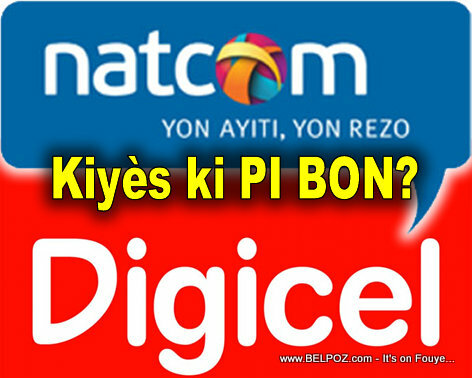 « Haiti Internet Service - NATCOM Parese Anpil nan Bay Sevis, yo Refize Banm Sevis, Poukisa? This is a shame that 2 major internet players in my country are offering network speed at less than 25Mbps. This demonstrates how disrespectful they are. And when are they going to offer a 30-day cell phone service in Haiti?